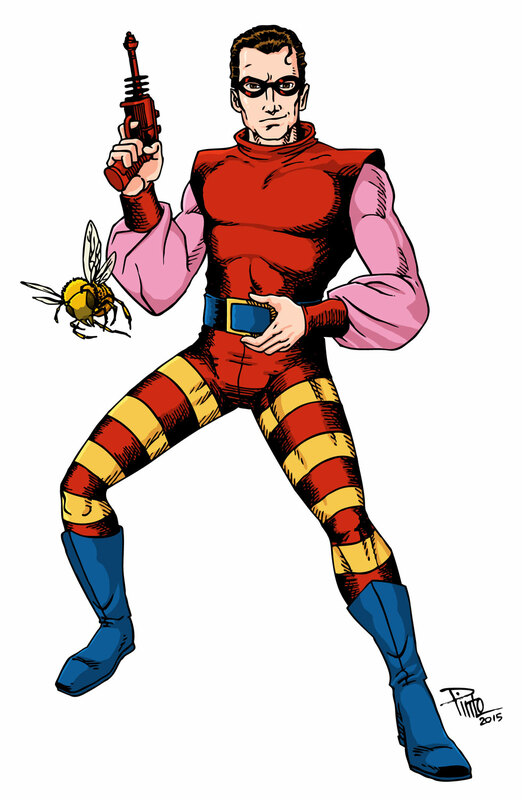 The Red Bee first appeared in Quality Comics’ Hit Comics #1 on July 1940. He used a weird costume, trained bees and a stinger gun to fight nazis and gangsters. He had a favorite bee named Michael, who lived in his belt buckle.